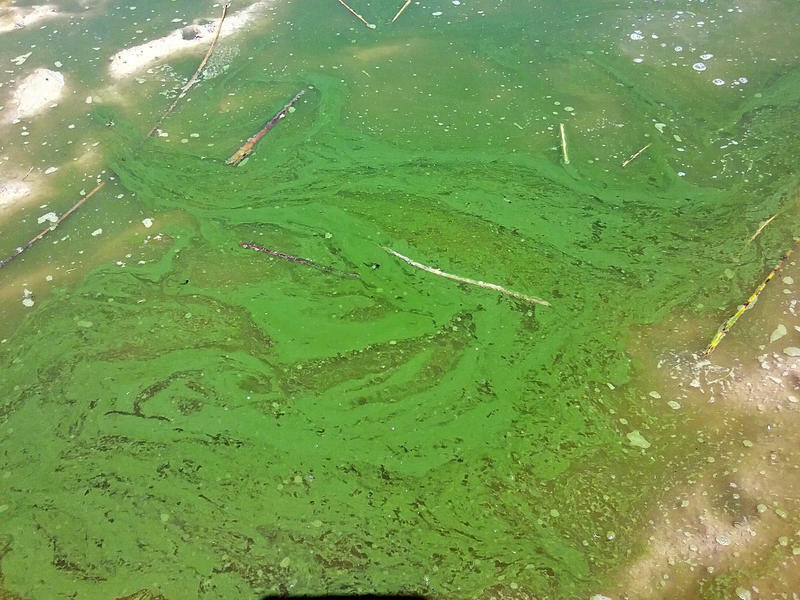 Harmful algal blooms are known to give the water an unnatural green color. This photo was taken earlier this month at Panguitch Lake. Health officials have issued warnings at eight Utah water bodies where toxin levels have gotten too high, including Scofield and Deer Creek reservoirs. Lincoln Beach and Marina on Utah Lake is the only other area besides Panguitch Lake that health officials have closed because of dangerous levels. “We’re at the height of the season,” said Jodi Gardberg of the Utah Division of Water Quality. Gardberg pointed out that hot weather and low water levels, combined with runoff containing manure and fertilizer, create ideal conditions for runaway growth of toxic algae. Exposure to toxins from the blooms can produce rashes, hives and blisters on the skin, along with flu-like symptoms. A dog even died a few years ago after playing in contaminated water at Utah Lake. 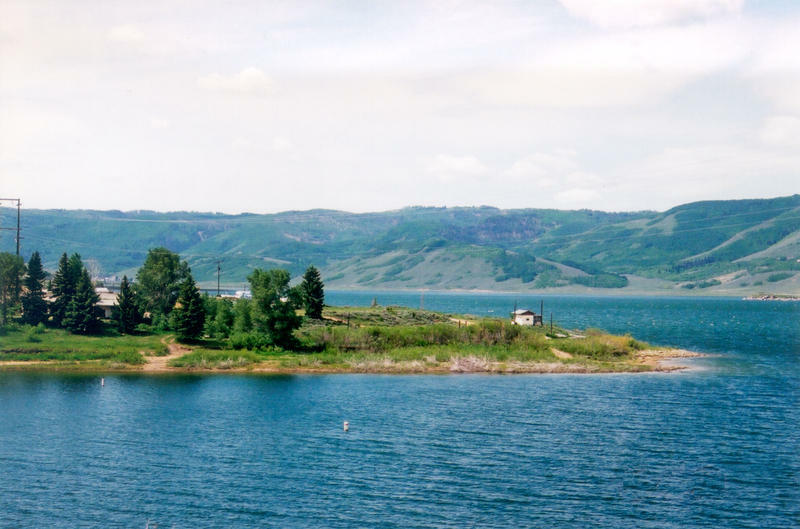 At Panguitch Lake, levels of toxic microcystin are 18.5 times the health-based trigger for a “danger” advisory in recreational waters. 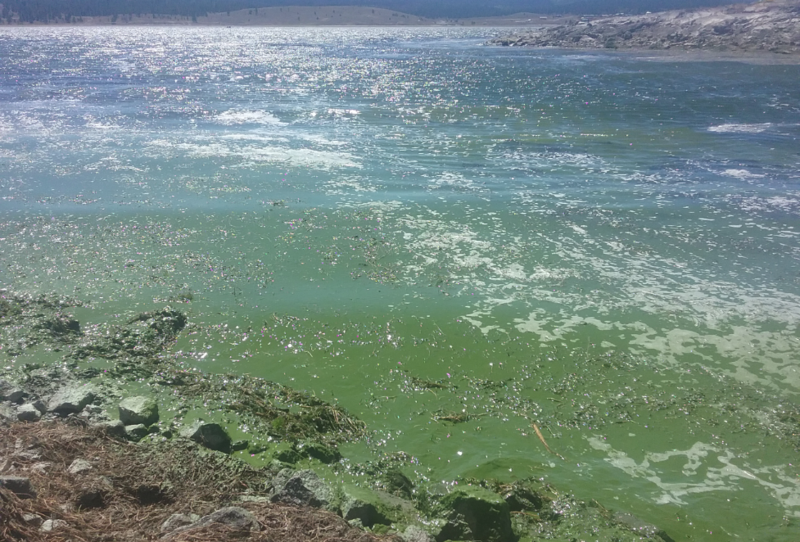 Ranchers have been warned to keep their livestock from drinking from Panguitch Lake — evidence of both the environmental and economic impacts of harmful algal blooms, said Gardberg. When harmful algal bloom advisories are in place, people are urged against swimming, water skiing and ingesting the water. Staying safe also means keeping pets and livestock away, avoiding scum when boating and cleaning fish well and discarding their guts. The Utah Division of Water Quality provides the latest information on harmful algal blooms on its web page, habs.utah.gov.